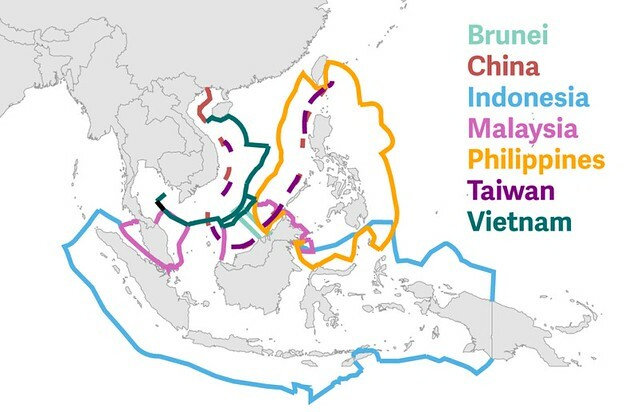 Maps are complicated in the current geopolitical climate—especially emblazoned across your torso. What is perfectly acceptable in Vietnam can get you stopped at Chinese border control, and vice versa. As we ponder geopolitical presumption, we might send pioneering birthday greetings to Henry Bradford Washburn, Jr.; he was born on this date in 1910. An explorer, mountaineer, photographer, and cartographer, he established the Boston Museum of Science, served as its director from 1939–1980, and from 1985 until his death served as its Honorary Director. 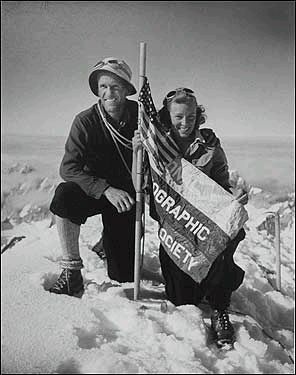 In 1940, he married fellow explorer Barbara Polk; on their honeymoon in Alaska, they made the first ascent of Mt. Bertha. Seven years later, they climbed Denali (Mt. McKinley), an ascent that made her the first female to reach the peak.